VLC media player is a free and open source cross - platform multimedia player that plays most multimedia files as well as discs, devices, and network streaming protocols. This is a BETA version of the port of VLC media player to the Android™ platform. It is both an audio and a video player. *VLC for Android™ plays most local video and audio files, as well as network streams (including adaptive *streaming), DVD isos, like the desktop version of VLC. 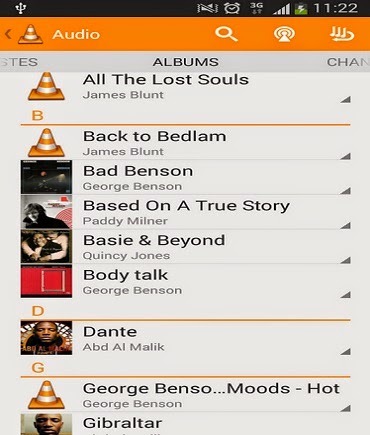 *VLC for Android has a media library for audio and video files, and allows to browse folders directly. *VLC has support for multi-track audio and subtitles. It supports auto-rotation, aspect-ratio adjustments and gestures to control volume and brightness. 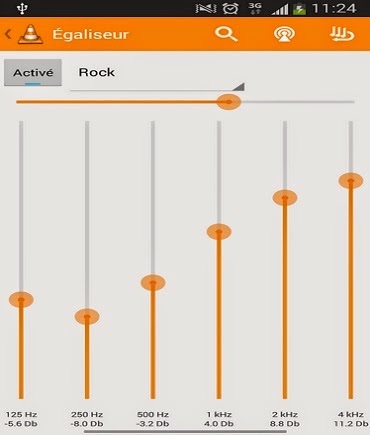 *It also includes a widget for audio control, supports audio headsets control, cover art and a complete audio media library.